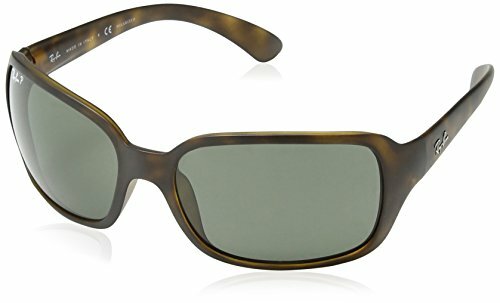 Women's square frame has Matte Havana acetate surrounding a protective and classic polar green lens and unique wrapped temple design. Option to rx. A women's frame with a sporty twist, the rb4068 combines cutting edge style with a comfortable, lightweight design that's perfect for on the go fashionistas.